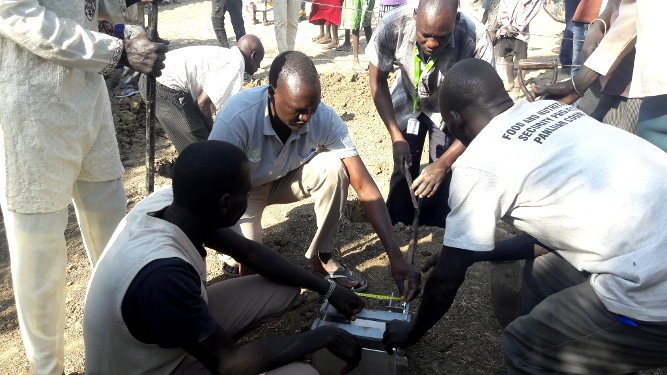 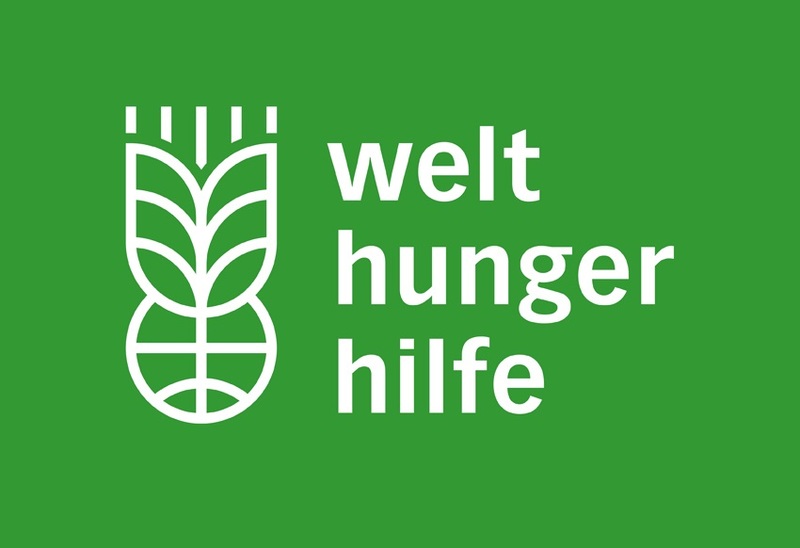 Welthungerhilfe (WHH) South Sudan ordered their own emergency drilling kit after test drillings with partner organization Oxfam. 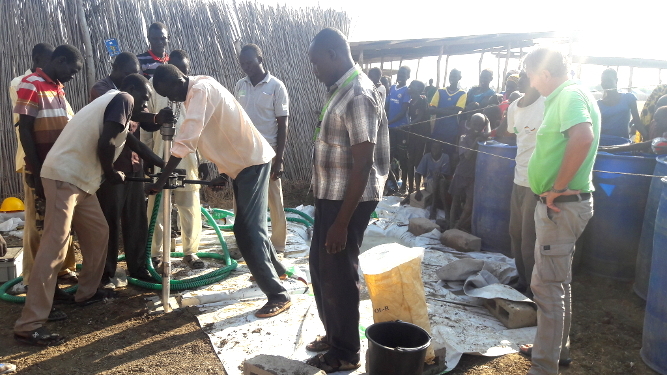 To guarantee a good quality of work, PRACTICA provided a hands-on training on manual drilling using the rotary jetting technique. 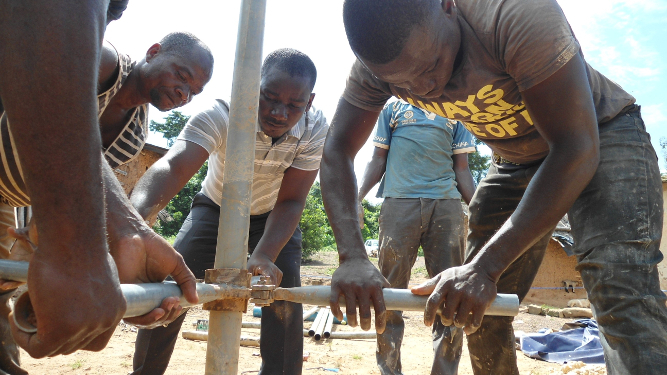 Using the manual drilling to construct boreholes, lowers the cost of conventional drilling and overcomes challenges in accessibility and logistics. 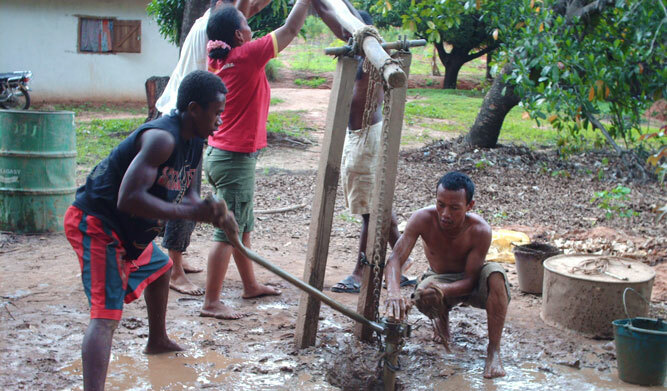 It furthermore improves the quality of work initially done by hand dug wells. 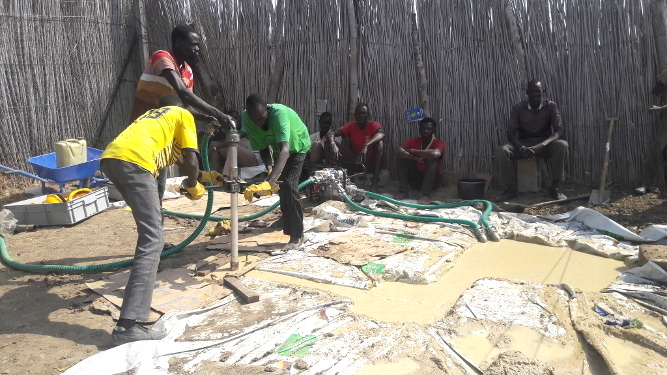 To provide hands-on training on manual drilling using the rotary jetting technique. 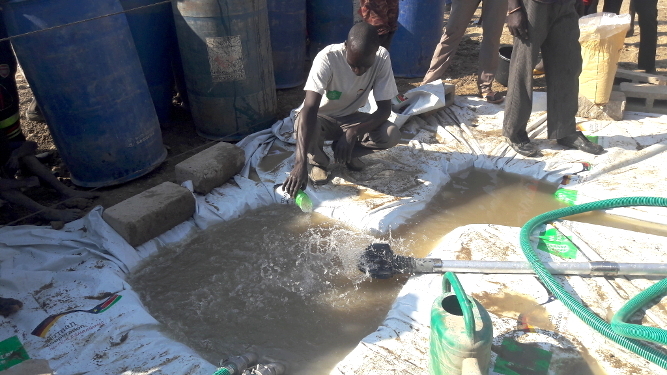 This will be implemented through field work to drill a number of new wells in Ganyiel. 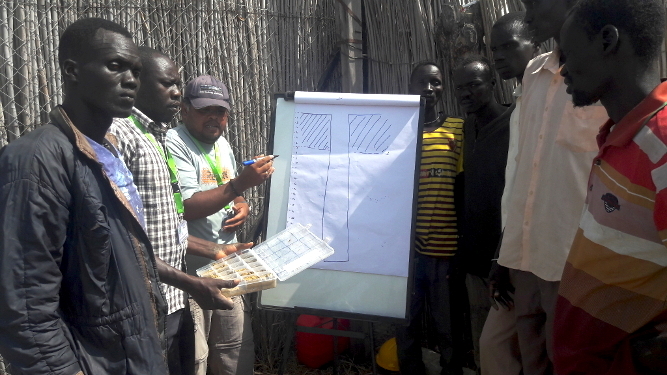 Following the training, the participants should have sufficient experience and skills to continue drilling until the next planned theory follow-up training. 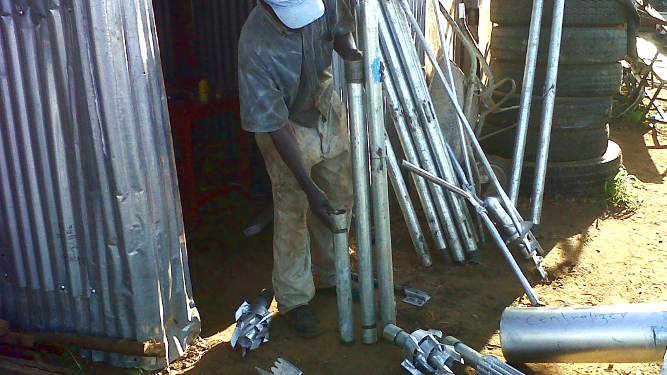 are able to identify and solve problems that may arise in siting and drilling. 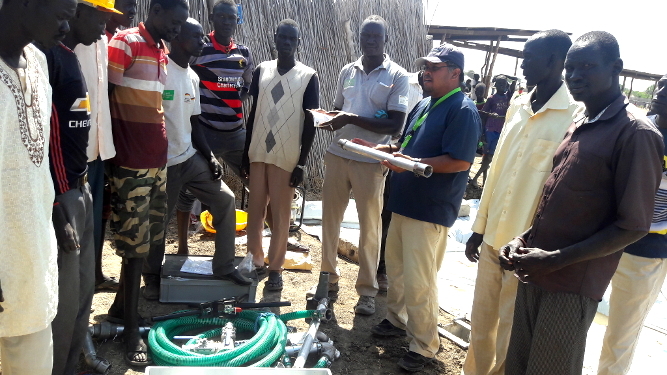 After the field training WHH has ordered a second rotary jetting kit for use in another project area.